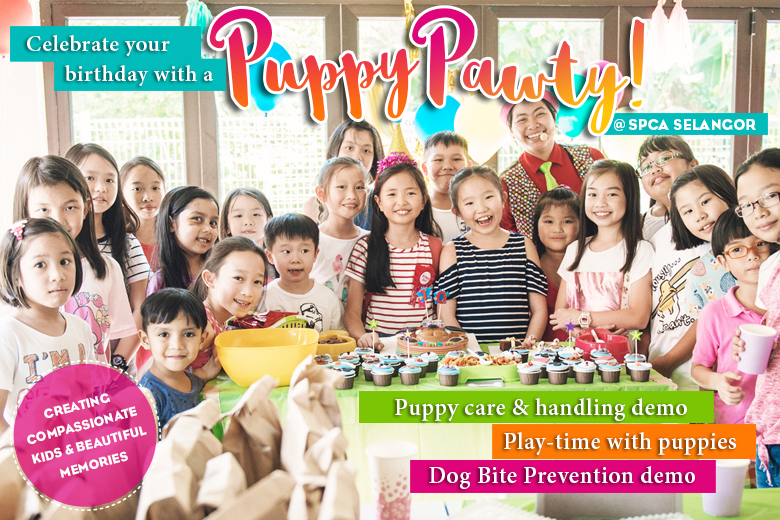 Celebrate your birthday with a Puppy Pawty @ SPCA Selangor! Have your Birthday Pawty @ SPCA Selangor! Fun and educational, kids will enjoy it and learn more about caring for & handling animals! E-mail events@spca.org.my for more information!